Metal Detecting In New York? 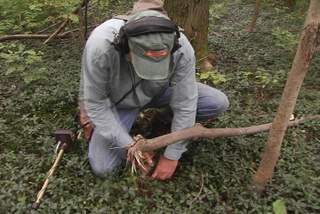 Metal detecting in New York follows the Antiquities Act. This law was enacted in 1906. The state also has an extended version of this law regarding digging artifacts on State lands. It is a law that was hid inside what is called the Education Law. You really need to understand what this law states. More on that law below. Be sure and read through the entire pages at the links I provide. I was falsely accused of breaking these outrages laws. Read more below. Pay particular attention to the section of stories that are about what happens when individuals in New York break the laws . More information regarding the laws are here in a condensed version to make it easier to understand. In New York State, to help the Archaeologists agenda, which is to control every piece of history below the ground, New York State passed a law in 1958 that was specifically designed to enhance and stretch the ARPA law to benefit Archaeologists and hurt hobbyists by controlling every historical item below the ground. The new law was Section 233 of the state Education law. Notice how the State tucked away this law, hiding it in the Education Law section? 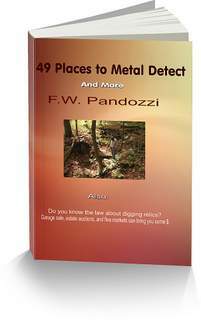 Metal detecting in New York means being aware of these laws. The Section 233 law describes how Archaeologists have control of any artifact that lay beneath the ground on State land. What only a few years ago was modern is now termed as being “archaeological significant” in the eyes of Archaeologists. I have paraphrased below portions of two ambiguous paragraphs. How does Section 233 of the Education law look when it is compared to the The Antiquities Law of 1906? That law states that: ·	No item shall be treated as an archaeological resource under regulations under this paragraph unless such item is at least 100 years of age. “Objects deposited on state lands that are less than 50 years old are not considered to be of “archeological interest.” Suddenly, what was modern 50 years ago has become of archaeological interest. The questions I raise are these. If the 1906 Federal law states the 100-year rule on antiquities, and then NYS has designed a law based on a 50-year-old antiquities interest, why was the 50-year rule established? I would like to have the phrase “cultural resources” clearly defined. And remember, metal detecting in New York is only illegal if you break this law. Does this mean every single piece of history beyond 50 years of age is a cultural resource? How can there be a 100 year rule on Antiquity one day, and then all of a sudden the rules of antiquity change to become a 50 year rule? Who defines what antiquity is, what archaeology is, what a cultural resource is, what an object of historical significance is? What is modern and what is not? The only thing clear here is that the Archaeology community has been taking advantage of a set of laws that are vague in definition, and are exercising their own definitions as to what antiquity is and isn’t. And because of these generic definitions, the Archeology societies across America are forcing their will on people who pay taxes for, and use State lands for recreation. Webster’s dictionary defines the word archaeology as the “study of ancient times from remains.” Yet the Section 233 law clearly states that objects that are of less than 50 years old is not of archaeological significance. However, an object that is 51 years old suddenly in the span of one year, according to the State Archaeologists, instantly becomes ancient and off limits to everyone but an Archaeologist. What about Webster’s definition of archaeology, the “study of ancient times?” Does an item that is 51 years old qualify as ancient? I don’t think so, and I honestly do not think that many people other than Archaeologists would consider 51 years old as being ancient. As mentioned before, the problem of the definition of what is ancient and what is not is not just at the State level. The ARPA Federal law is also ambiguous with its definition. That law uses 100 years as a cut off for items being ancient. Again, according to Webster’s definition of archaeology, the “study of ancient times from remains.” Does 101 years qualify as ancient? Probably not! However, Section 233 of New York Sates education law was based on the ARPA law of 1906, and that first law of antiquities was the beginning of many ambiguous archaeological laws that followed in many states. do not dig anything that you believe is an artifact, or anything that is older than ugh 50 years. For metal detecting in New York, town, village and city parks, you'll need to check with those local officials. For metal detecting in New York State parks and their beaches, you need to check with each parks division. Special permitts are needed if you plan to detect any areas outside of the beaches. When my TV series “Ghost Towns Of The East” first aired in New York, where we filmed, the Archaeological community verbally attacked my show, me, and my co-host. They called us looters and thieves. They tried to shut down my TV productions and they had their attorneys write me nasty letters. See for yourself what all the protest was about. Have you been metal detecting in New York ghost towns?